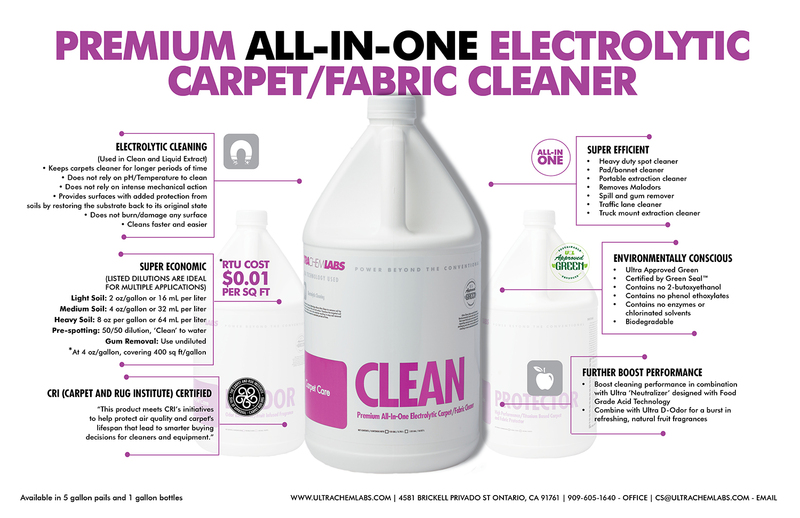 High Performance ECT Carpet Cleaner. 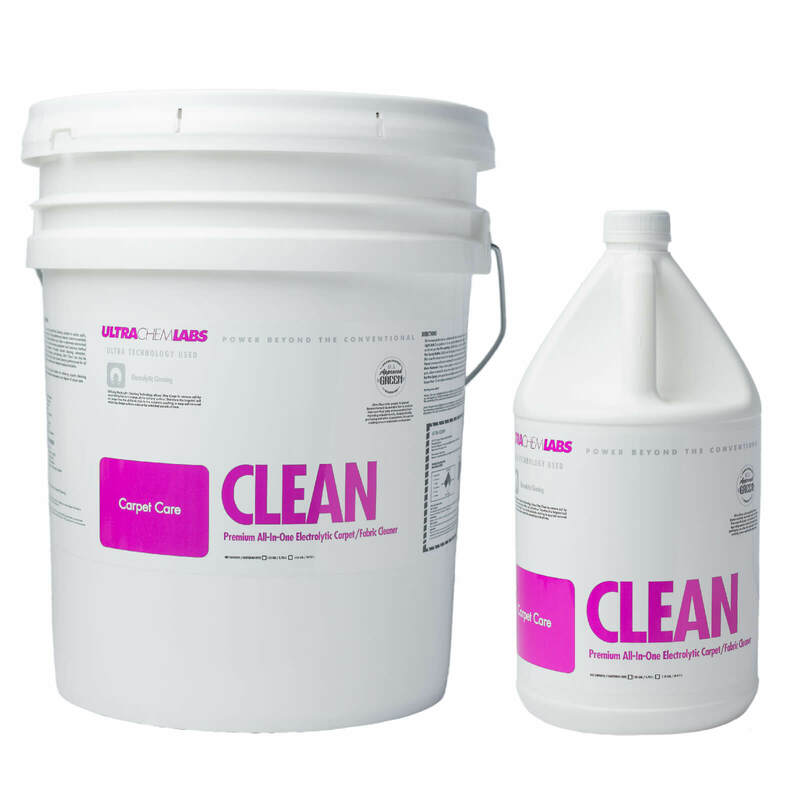 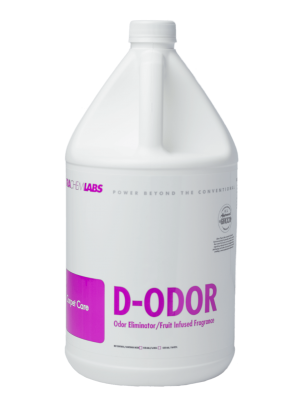 Clean is the one-stop solution to cleaning most types of spills, pet odor, urine, stains, feces and even gum removal. 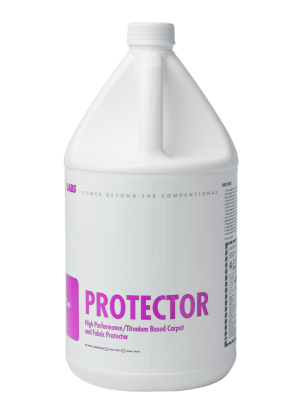 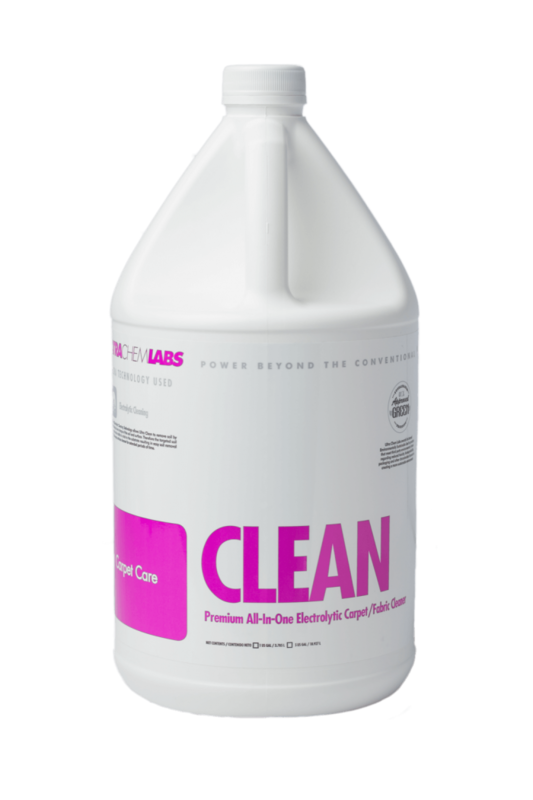 It saves time and money, can be used with any carpet cleaning equipment and cleaning method, and can be used with truck-mount and carpet extraction systems (hot water not needed). Ultra Chem Labs’ Clean’ utilizes Electrolytic Technology, allowing the product to be used for a multitude of applications, cutting chemical and labor costs significantly.